Nothing could hope to repeat or even replicate Hospice, the Antlers' 2009 sweeping, emotionally-resonant and heart-wrenching opus. That album was an easy Top 10 vote for its year and an overall top-something-numeric because of how artistically and hauntingly it dealt with epic, sad tragedy. Now, the Antlers, a three-piece of Peter Silberman, Michael Lerner and Darby Cicci, return with a new disc titled Burst Apart that re-directs the groups musical and narrative course, fully aware that Hospice was a one-time deal. That doesn't mean that Burst Apart lacks something, or that it is in anyway a total departure. This isn't a theme album, an opera, in the way its most recent predecessor was, but it still bears the dreamy cooing and crooning we've come to expect from the Antlers. And more so, Burst Apart has choral and noir elements that expand the brand, so to speak. What we get is an album that is so carefully crafted and arranged and so thoughtfully written that it's undeniable. Does it unseat Hospice? No. But it does take a seat at its side on the pantheon. The album streams below, so, check it out and follow "the bouncing ball." The amazing opener "I Don't Want Love" sets the tone with a tight drum beat and a quick dreamy guitar riff. It's a beautiful, intricate, perfect little pop song. It will stick to you, with you and around you. There are few opening tracks from 2011 that as instantly evoke the "Oh, hmm. Yes. I already love this album" response like this one does. Silberman's voice is clear, wailing and pristine, carrying through from cooed tone to breathless lyric. "French Exit" continues this new, poppier, more energetic vibe for the Antlers by building on wistful key work and drums that rattle away like a modified march. Immediately, Burst Apart feels less urgent than Hospice, but it also feels intelligent and plagued with its own emotional concerns. This is not a pop album, but it is a catchy one, and there is a vast distinction there. 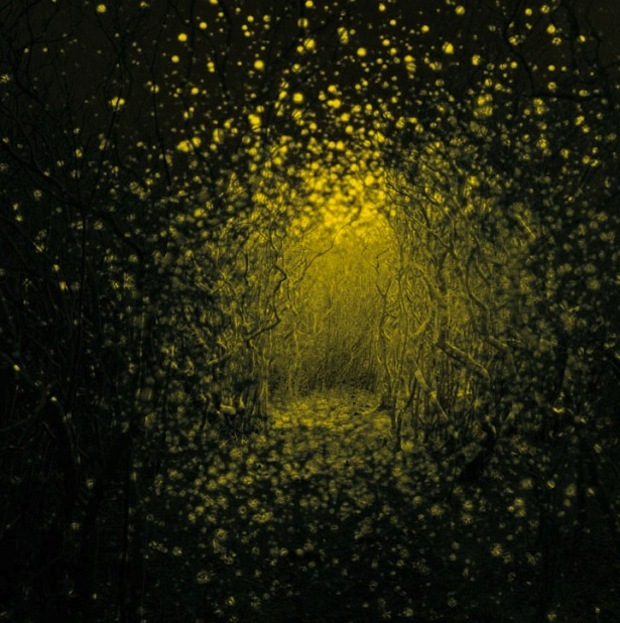 Especially because after the first two tracks, the Antlers change gears, finding a kind of wondrous and frightening tone with "Parentheses" and "No Windows," two songs that grab onto an '80s sensibility about new wave and synthpop... in short they engage a sort of "depeche mode," swinging from dream to nightmare in tiny steps, but remaining untouchably perfect. Where the first two songs called to bands like Beach House and M83, and the second two call to Depeche Mode and (perhaps) the more thoughtful and dreary Duran Duran, "Rolled Together" makes a new way. A rolling repeat of lyrics and beautiful build touch somewhere around late-period Blur with a hint of stadium rock excellence. And then, my god, oh yes "Every Night My Teeth Are Falling Out" is a crooning, energetic indie pop-rock track. I'll just award it with the "Track that most kids will download and not understand anything else about the band" award for chameleon-ic excellence. So good. And strangely a little Sting-y, like Mercury Falling Sting-y. Though, to reassure their usual fans, "Tiptoe" comes along to set a misty, empty city streets tone where you could be wearing a trench coat and a fedora, smoking a cigarette and wishing that this dame hadn't convinced you to take such a dangerous case. It's a perfect intermission track, a 2:30 instrumental that just reminds you to pay attention to the dreams. And it's good advice because "Hounds" is all dreams, setting up a sweet cry in "Corsicana" and an incredibly waltzy blues closer about death, loss and endings in "Putting The Dog To Sleep." Burst Apart deals with a lot of the same themes hit hardest in Hospice, but with far more eclectic arrangement and experimentation. The album journeys to so many new and interesting places, genres, feelings and ideas over the course of 41+ minutes that it really can't be pinned to a board, but that wiliness creates a lot of the beauty and grace too. This is direct, heartfelt music that plays with sound to almost total success. And even the tracks that feel a little rehashed in '80s designs, still feel original and dynamic. You will only be disappointed if you never hear this. Great record. Really great record. You can also stream it now, as part of NPR's First Listen here.